This site contains more than 30 self-contained educational modules, covering important topics in child growth, development, behavior, and adolescent health. The materials have been written and edited by faculty from Children’s Hospital in Boston and Harvard Medical School and by expert faculty from other medical schools and academic centers who volunteered their time. 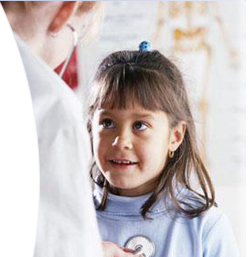 The original curriculum and methodology were reviewed by nationally recognized experts, and pilot-tested and evaluated in pediatric residency programs across the U.S. These materials are freely available to help healthcare educators worldwide. In the summer of 2012, the Pedicases Steering Committee began the process of updating the curriculum, case format, content and website in response to a needs assessment of users conducted in the previous year. We have now published our first set of revised cases! The original cases will continue to be accessible via the “Archives” link. Please continue to check back throughout the next several months for new cases. Please register if you are not currently a user.